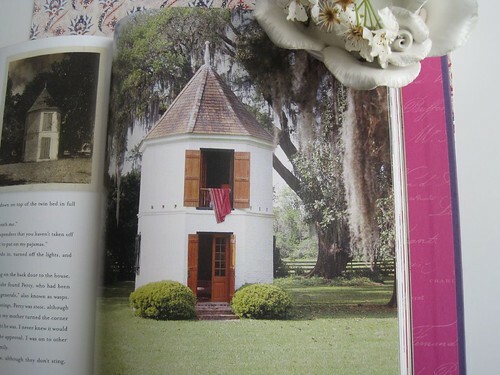 A few days ago, while I was looking for a birthday gift for my sister, I came across the delightful book Creole Thrift: Premium Southern Living Without Spending a Mint by Angele Parlange. Some of you may remember that my mom and I took a vacation to New Orleans a couple of years ago. We couldn’t get enough of the boiled shrimp, pralines, the mint juleps (OK, so we ate a lot! ), or the endearing southern charm. I fell head over heals in love with the Creole style “Laura Plantation.” It was bright, lively, full of yellows, teals, and reds. It was a home with a heart, and the story of the family was as enchanting as the building itself. I remember telling my Mom that I was sure I’d been Creole in a past life. 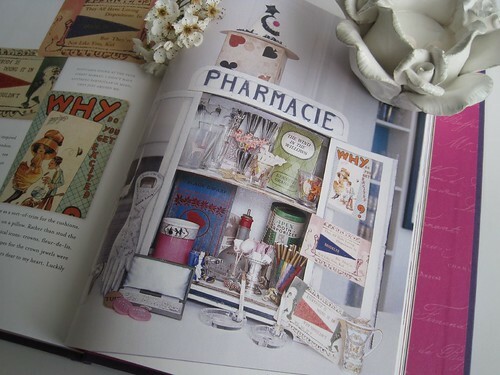 Needless to say, when I came across “Creole Thrift” I dropped everything and started pouring over the pages right there in the shop. 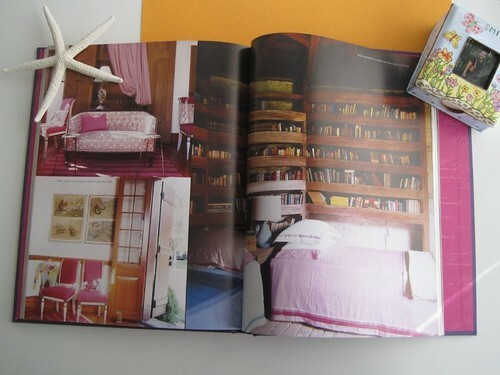 The author, Angele Parlange is a renowned designer, and Parlange Plantation is her family home. Built in 1750, it is a gorgeous Creole style plantation. 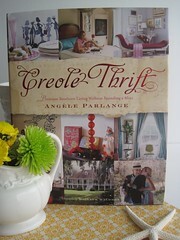 Angele’s grandmother, Mie lived at the plantation and instilled a great sense of what she calls “Creole Thrift” in Angele. Angele explains, “You don’t have to be a Creole to adhere to Creole Thrift philosophy; just don’t consider a hiccup in a project to be a failure, but rather an opportunity for something else to grow out of your original intent.” Both the project manager and the spiritual being in me cheered as I read her thoughts. Indeed, our lives are full of little twists and turns that present the amazing opportunity for us to learn and grow. 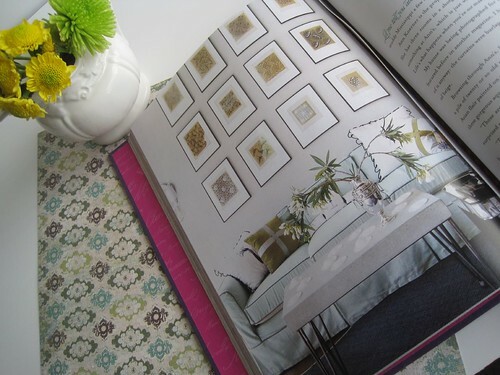 Parlange explains in her book that the framed pieces of wallpaper inspired the decor of her “Sea Foam” room. It’s a lovely way to set the tone for a room, and can be done with inexpensive frames. Wouldn’t you love to have this in your home? On the grounds, they have two Pigeonnier buildings which have been converted into a guest house and a home office. The were originally built for the family to raise pigeons. I’d love to live in this birdhouse. I love that in her design work, she uses hand me downs and “roadkill” (stuff discarded by the side of the road) to create lovely, charming pieces. Creole Thrift is a way of life, of living with history, of adding fanciful embellishments to create whimsical looks, and of reinventing the past to fit your present life. After reading Parlange’s book, I’m more certain than ever that I was Creole in a past life. 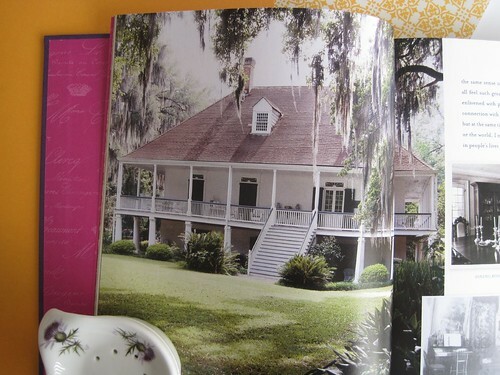 Want to see some more of the book, or some of my photos of Laura Plantation? Head on over to Flickr! great book review! i’m going to track this one down – love the photos too! Great book review! I love the inspirations from postcards. I picked up a bunch when I was in Italy and I think I need to dig them out to put some inspirations together.